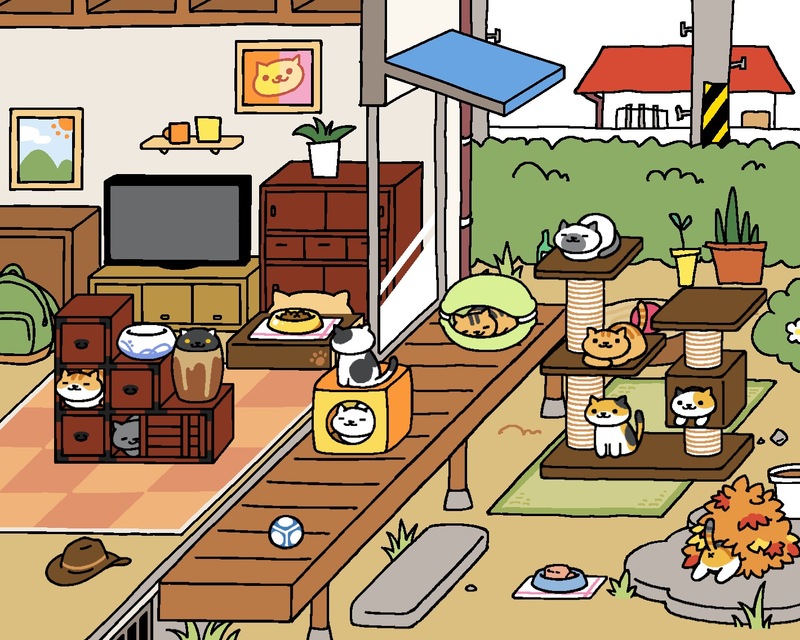 An interactive app named “Neko Atsume” that allows users to feed and play with virtual cats has recently sparked several Internet conversations, raising concern over the addictive tendency the game has among young adults. The popular game is limited in actions and gameplay but offers users a more rewarding ante — virtual love and affection from cats. Upon opening the application, a yard and several “hot spots” are highlighted. Showing users an empty yard means empty hearts if cats have no toys or food to enjoy. An option to shop is located in the left-hand corner, giving users access to different types of food and treats that can be purchased for currency of either silver or gold fish. Fish are accumulated by cats visiting the yard and leaving fish as “gifts,” encouraging the purchase of rare and exciting items for the cats to enjoy. The game becomes a seemingly endless cycle of receiving payment and affection from visiting cats, to spoiling them with expensive glass vases and luxurious cat condos. The popularity of the game has brought light to a subject most millenials tend to avoid spending idle time on an addictive pastime. Yutaka Takasaki, the creator of the game, noted one of the reasons this game has been found to be so popular and relaxing, even for adults, is the simplistic element of caring for virtual beings. “We’re not going to put cheats or complexity in it, and we would like to pursue a game that can be enjoyed with only simple operations,” Takasaki said.